On Saturday May 13th, 2017 Project Morry was proud to honor the High School Graduation of 100% of our Post Grad 5 students. Commencement 2017 also celebrated the completion of their 9 year Project Morry journey. 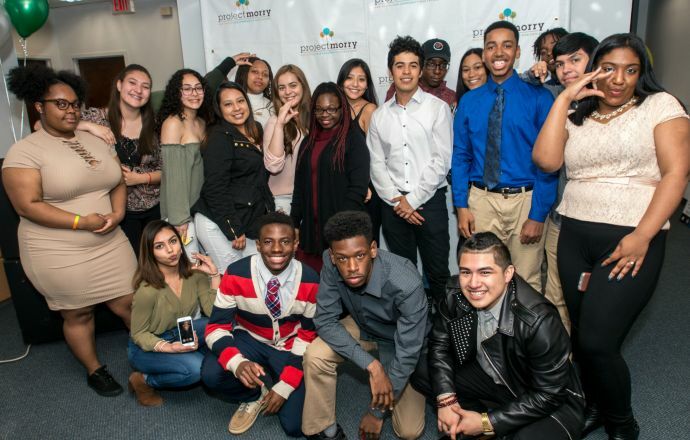 96% of these thoughtful, ambitious young leaders will go on to college or enlist in the military. We wish them the best and eagerly wait for news of their next successes! Next: Michael Gordon Young Leaders Award Honoree!